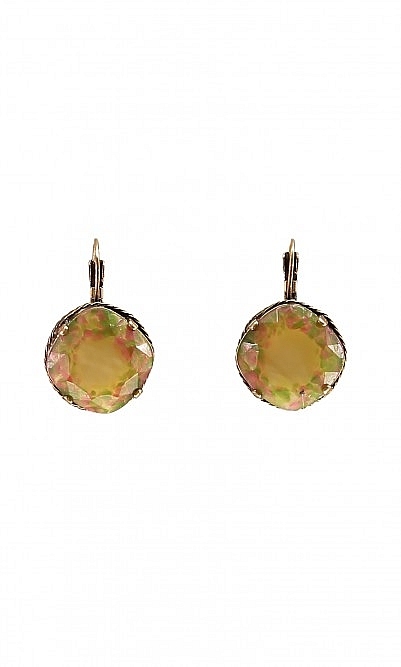 Romantic droplets of iridescent green flecked with coral and clasped in a bronze setting. Closed hook fastening. Handmade. L3.5cm. Bronze-plate, glass. Pierced ears. Lovely earrings, so flattering. Light to wear. Colour slightly different but I like it. Makes them unique. Nice bit of sparkle to lift my complexion.